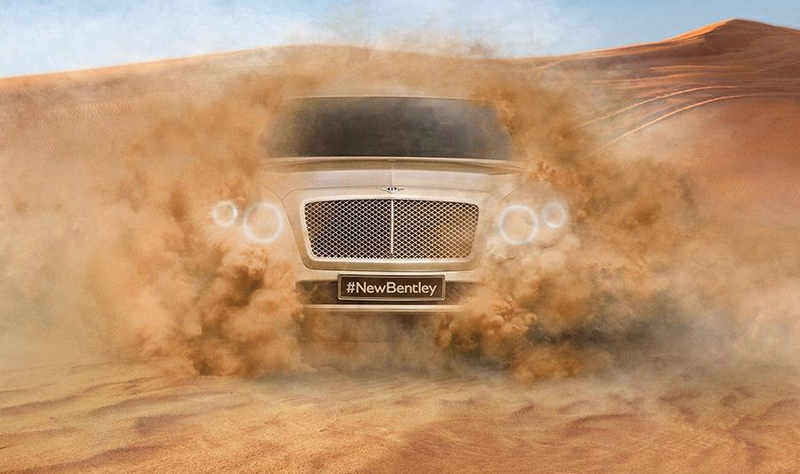 Bentley has released a teaser image of its upcoming SUV, which the automaker is promising will go on sale in 2016. The on-again off-again Bentley SUV has been on the company's short list of possible vehicles since the SUV boom years, a full decade ago, but it has consistently been pushed further back in the pipeline. Bentley is promising that the new model will be the most luxurious and powerful SUV on the market. "It will create a completely new segment in the SUV market," said Dr. Wolfgang Schreiber, Bentley Motors' chairman and chief executive. The last concept Bentley SUV we saw was the 2012 EXP 9, which received a lukewarm reception due to its somewhat polarizing exterior design. When the EXP 9 debuted at the 2012 Geneva motor show, plenty of observers said positive things about its overall proportions, though the front fascia received a less enthusiastic response. The EXP 9 featured large, round headlights positioned at the corners of the front fascia, flanked by mesh inlets sitting awkwardly next to a large horizontal mesh grille. The front fascia of the EXP 9 concept also featured large, round auxiliary lights right under the headlights with LED rings. Another detail that many found polarizing was the rear fenders, which many felt were exaggerated to imitate those found on the Continental GT. The new image released by Bentley shows that the design team has opted for a much more traditional front fascia, one that takes its cues directly from the Continental GT and the Flying Spur. The grille is a bit more upright, though it retains its sharp corners, leading to a smooth hood. Bentley has not indicated when we might see a full-size concept based on this design, though it's likely to debut in concept form sometime in 2014. Bentley is hoping for minimum annual sales of 3,000 units when the model begins deliveries in 2016.